Alabama Power is partnering with Bevill State Community College in the relocation and development of a state-of-the-art HVAC (heating, ventilating and air conditioning) Training Center. The joint venture will relocate the facility from Clanton to Jasper, and expand the program and course certificate options for students through an arrangement and program transfer with Bevill State. The Alabama Community College (ACCS) Board of Trustees on May 10 voted to approve the agreement between Bevill State and Alabama Power to develop the facility. The HVAC Training Center will provide six functional classrooms, six designated learning laboratory areas, a minimum of six offices and an auditorium accommodating up to 100 participants. Bevill State will retrofit the building to receive training equipment from Alabama Power, and company resources, instructors, participants and students will be integrated into the new HVAC Training Center. 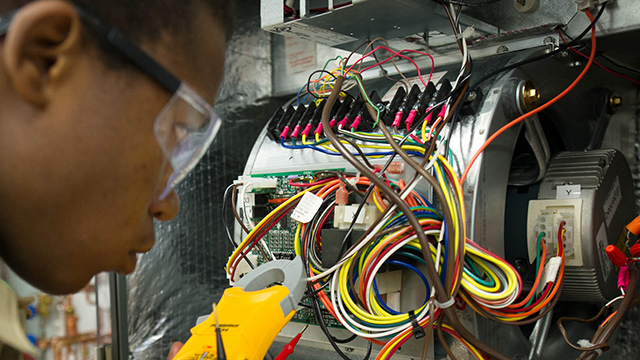 The training center provides students with the technical skills needed in the HVAC industry, including product application, installation, and service, and performance analysis. Alabama Power’s current facility has provided training, professional development and continued education to over 33,000 participants from 45 states and four countries since its inception in 1986. Bevill State supports economic development through services to business and industry, both public and private, including working with companies to develop customized training programs for a viable workforce. Workforce development initiatives are responsive to industry needs and can range from highly specialized training to programs that help prepare entry-level employees to meeting growing demands. The agreement was reached through the cooperation, efforts and support of Alabama Power, Bevill State Community College, the Alabama Community College System and elected officials.